Allingham Production offers a full range of production services for projects of any size. We handle all that you would expect from a full service company including; budgeting, sourcing kit, cast and crew plus all location scouting, permissions and logistics. Access is key with location work and we've been getting crews & gear up a mountain, over a river or into a valley for many years now. We've got the skills and experience to get you pretty much anywhere quickly, safely and on budget. 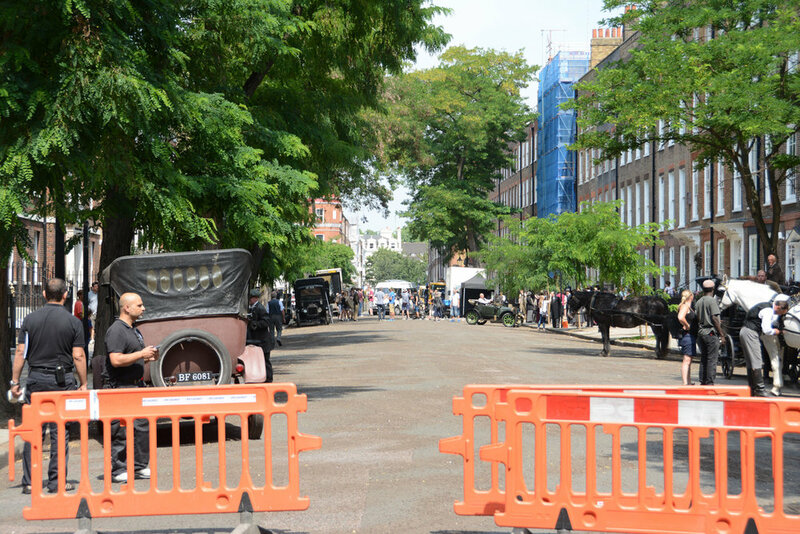 Obviously, it's not all choppers and gaters; in the city we can arrange street closures and lock down an entire area for your production. We work together with local authorities, Police and our security team to give you the control you need to complete the day. From full size film unit to a 4 man VFX crew, the right facilities are key to keeping the show on the road. Working with Europe's leading facilities providers, we can kit you out with mobile production offices as well as tactical solutions for more challenging environments. If you need equipment, we work closely with the most reputable suppliers in Europe to ensure the best deals on gear. 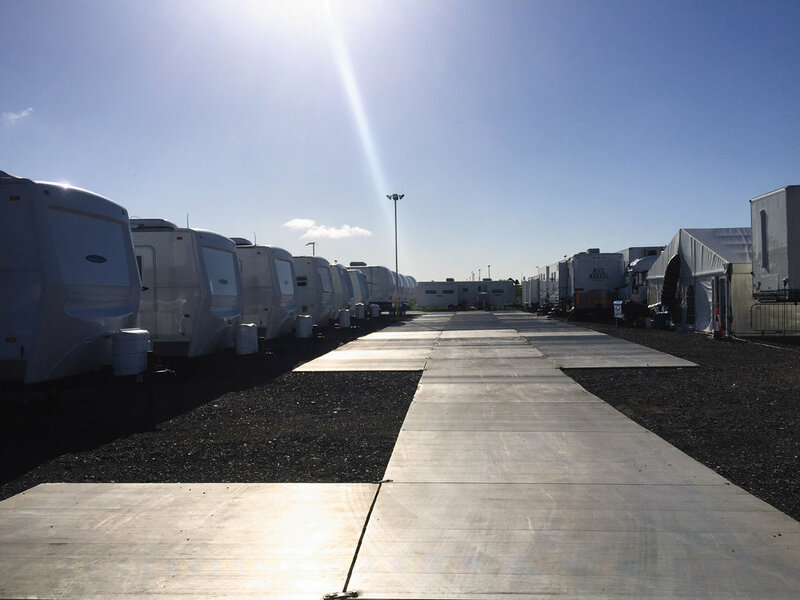 From tracking vehicles to walkie-talkies, we have built up long term relationships with all the big rental houses. These days Visual Effects often come with their own set of location requirements and we have worked with some of the most established VFX houses out there, helping to facilitate these specialised shoots around the world. When it comes to facilitating photogrammetry or liDAR scanning, Allingham Production has unparalleled global expertise in the field. Belgium - The client wanted industrial decay; Allingham Production secured this huge dis-used cooling tower, which became the subject of VXF photogrammetry and LiDAR for a major motion picture. We provided specialist rope access for the lower levels and the views from above were covered by a state of the art drone shipped from the UK. Canada - The client brief: An Iconic mountain range for a key scene. 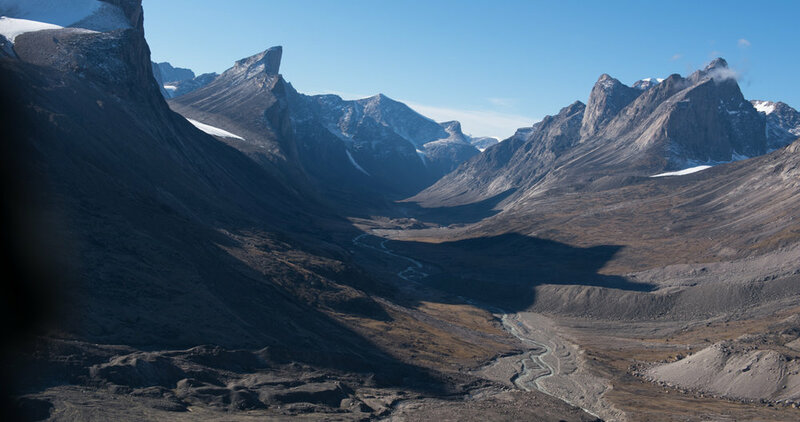 Cue Mount Thor; Located deep within a remote Arctic mountain range, we organised a staging post in the nearby town of Pangniartung, from where a team set off initially by boat and then on foot for a one and a half day hike into the valley. The 8 man team stayed under canvas for the 4 day shoot and were supported by locally enlisted guides and sherpas. A helicopter was also hired in to conduct aerial photogrammetry of the mountain range and to provide key emergency support as required. Latvia - The client brief; Chernobyl. Sensing Health and Safety issues, Allingham Production located a former Soviet cold war base in rural Latvia to provide a safe double. The client wanted to composite this into a large scale battle sequence; we arranged exclusive access through the local government and enlisted a fellow local production service Co. to facilitate two weeks of LiDAR scanning and Drone mounted Photogrammetry. 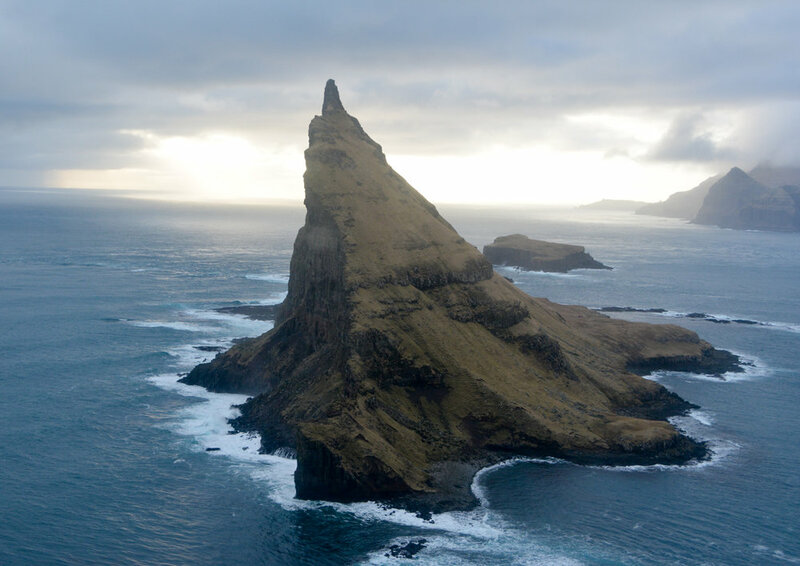 The Faroe Islands - The client was looking for a unique landscape to composite into a fantasy journey and The Faroes stepped in on an epic scale. Allingham Production arranged permits, helicopter access, accommodation and support crew all with the support of the local government. Allingham Production offers the full range of production services for Stills shoots and we also have an online database of thousands of locations, including shoot and stay options. As part of our huge library of locations, we also have a range of shoot and stay options available. Contact us today to gain access to the library and to discuss your project. In the last two decades we've shot accross Europe, North Africa and high up into Arctic North America, working with local authorities, fixers and scouts globally to secure the right location to fit the brief. However, once we're actually out there on location it's a completely different skill set to make it all work on the day and that's one of the things we do best. Witney, Oxfordshire - A farm doubles for 19th Century rural France in the soon to be released Colette. 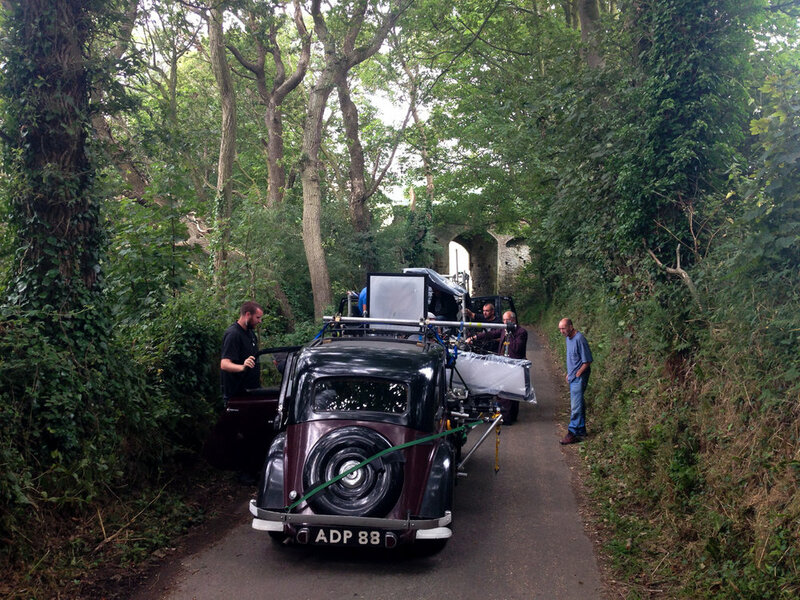 Allingham Production provided a range of UK locations to double as rural France during the three week UK shoot. London - Sometimes, it's just the landmarks you need. 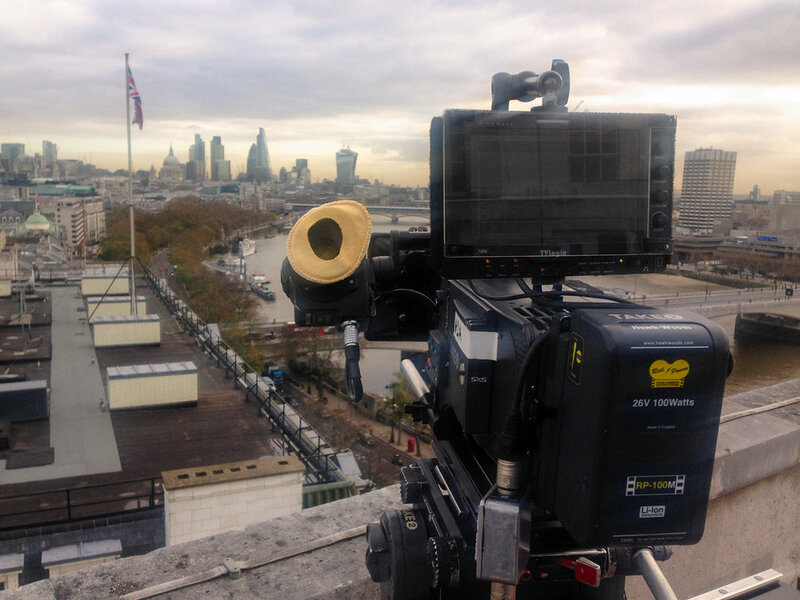 A Low-loader shot through the City of London, roof top shots of the cities' icons and a cheeky wide shot grabbed from a panoramic lift was all in a days work for the team on Bad Banks; forthcoming from Letterbox Filmproduktion. Winchelsea, Kent - A road closure for A-Frame work on Mr Holmes. In a key scene from the film, our heroic sleuth returns home circa 1940 and his iconic house is revealed from the car as we drive through the beautiful East Sussex countryside. Complete control of the road was gained with the help of the local council and the shot was achieved with ease. 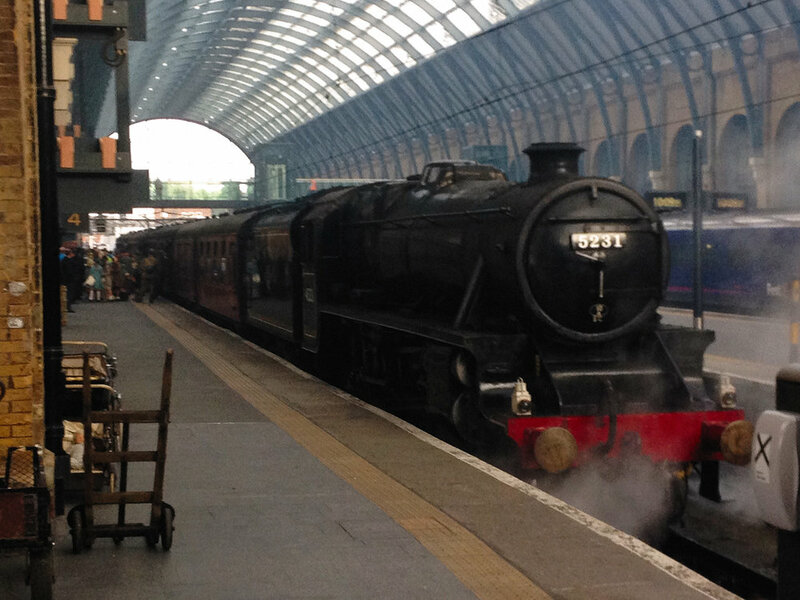 London, Kings Cross Station - The Imitation Game took over two platforms to re-create war-time Britain. Two locomotives were procured for the shoot and travelled down from the north of England overnight to be on platform for an eye-wateringly early call. 100's of supporting artists were dressed in period costume in a nearby conference centre, as a crew of 200 descended upon Kings Cross Station. Precision organisation is the key to a large scale shoot in a busy public place like this... all in a days work for us here at Allingham Production.